Thank you for your interest in our DLF Premium Tools! These tools are the result of numerous hours of work by many dedicated people. As such, a DLF Premium Membership is required in order to access these resources. Check our Premium Membership options. Already a subscriber? Just Log in. An unrelenting commitment to your success and excellent service. Year-round access to the best dynasty content by our veteran team of fantasy football analysts. 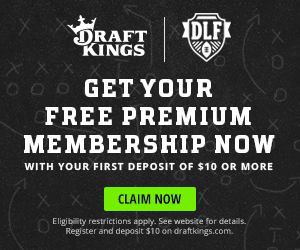 Access to the best dynasty rankings and ADP tools in the industry. ADP Comparison Tool, Trade Finder Tool, outstanding Player pages and more. Annual Rookie Draft Guide which is constantly updated throughout the entire draft season. Access to help, feedback and professional guidance in our Premium Forum section, Weekly Lineup Advice and more. 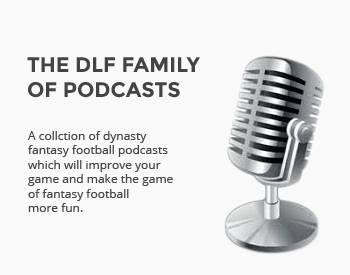 Find out more about becoming a DLF Premium Member, and join the oldest, most experienced dynasty community in the industry.